Papua New Guinea Prime Minister Peter O’Neill wants to bring back for debate the proposal to reserve 22 seats in Parliament for women. He told a breakfast meeting with the business community in Port Moresby Thursday that he would bring it up with his coalition partners and Opposition MPs. The proposal is to have two governors – one male and one female – in each of the 22 provinces. It guarantees at least 22 women in the House. He said it should not stop women from contesting the other 89 Open seats. 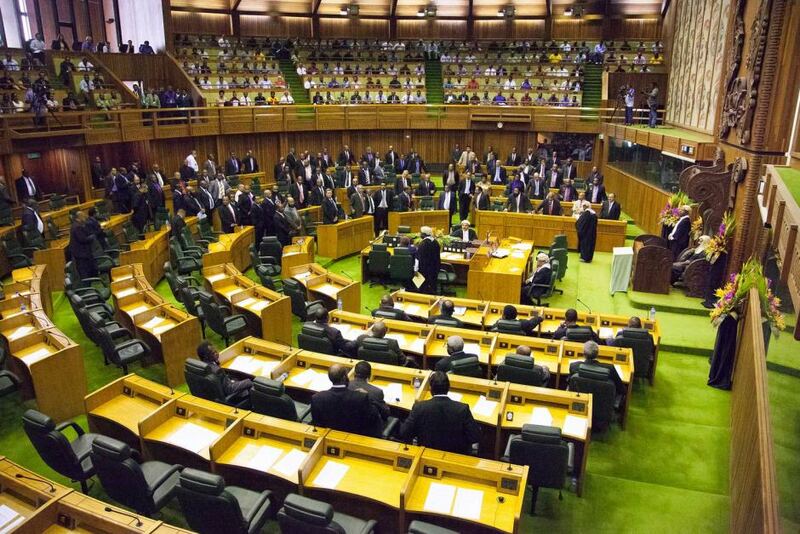 “I’m quite disappointed that there is no woman is in this parliament,” O’Neill said. A motion to have 22 reserved seats for women in Parliament was defeated in the House in 2014 after intensive lobbying. But O’Neill said he would discuss the idea again with his coalition partners and Opposition MPs before it could be re-tabled in Parliament. “I can assure you that I will be discussing this with our coalition partners and see if we can get the reserved seats – bring some women representatives into parliament as appointed members,” he said. Digicel Foundation chief executive Beatrice Mahuru brought up the issue during yesterday’s breakfast. She asked O’Neill what his government planned to do before the next general election in 2022 to address the lack of female representation in Parliament. O’Neill said “going forward, we need to have a long-term solution”. “Just appointing members to reserved seats is not the way to go into the future,” he said. He said he supported the idea of having one male governor and one female governor “but elected by everyone” in each province. It will mean expanding to a 133-member Parliament. “I’ve been personally supportive of that option because that immediately gives 22 women to go into parliament,” he said. “That option does not restrict the women from running in the open seats. They can compete with their male counterparts for the open seats. “But for the regional seats at least, you can have some fair representations. “Those are the options we will look at over the course of this term (of parliament). I will prefer a bipartisan approach in this regard. We will start talking with our colleagues on the other side and see how we could go, said PM O'Neill.